With The Angel on the Roof, Russell Banks offers readers an astonishing collection of thirty years of his short fiction, revised especially for this volume and highlighted by the inclusion of nine new stories that are among the finest he has ever written. As is characteristic of all of Bank's works, these stories resonate with irony and compassion, honesty and insight, extending into the vast territory of the heart and the world, from working-class New England to Florida and the Caribbean and Africa. 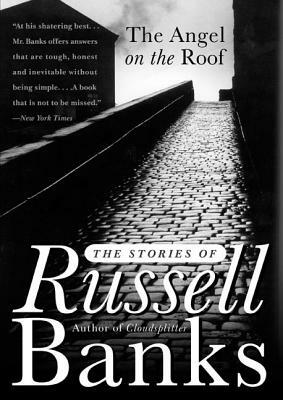 Broad in scope and rich in imagination, The Angel on the Roof affirms Russell Banks's place as one of the masters of American storytelling. Russell Banks, twice a finalist for the Pulitzer Prize, is one of America’s most prestigious fiction writers, a past president of the International Parliament of Writers, and a member of the American Academy of Arts and Letters. His work has been translated into twenty languages and has received numerous prizes and awards, including the Common Wealth Award for Literature. He lives in upstate New York and Miami, Florida.